Our flight wasn’t until midnight. So we bummed around Tel Aviv, did some laundry, was put to work by Anat, who was trying to wrap up a film project, went back to our favorite coffee shop, and shot lots of street art for today’s video. 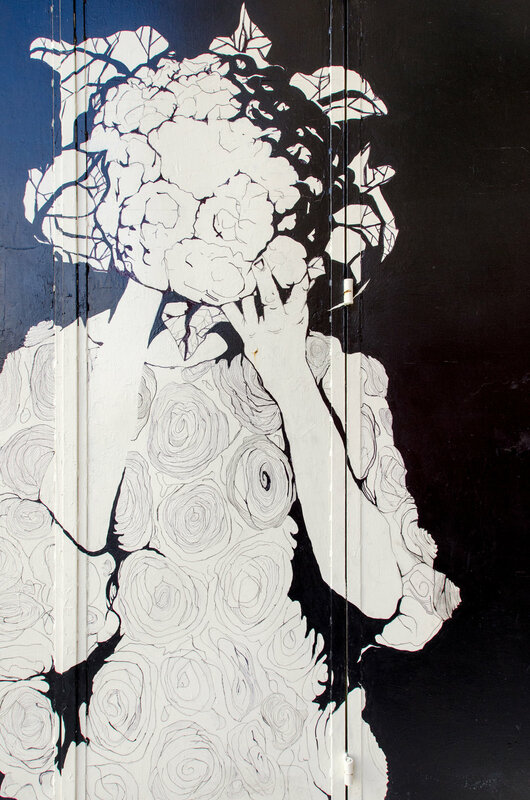 Because, let’s face it, street art is way more fun than laundry. 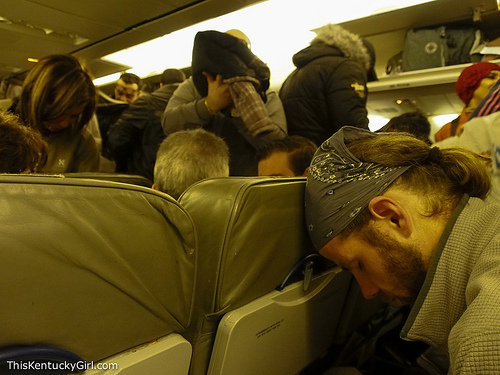 All in all, our day was rather uneventful… until we got to the airport. I balked a little bit at Anat’s suggestion to get to the airport three hours ahead of time. When we got there, and had to stand in the security line for questioning, I understood her time estimate. Before you check in for your flight, before you put your bags through security, before you go through the usual airport security and passport control, you have to stand in a long line to take your turn being individually questioned by Israeli airport security. “I swear it’s because they don’t want Jews to leave the country” a young American ‘Birthright’ girl told us as she stood in front of us in line. We chuckled and told her of the poor Australian we met entering Israel from Jordan who got held up at immigration because “he looked suspicious, like he was probably smuggling something back into the country…” She sighed. We all waited. Security: How do you know each other? Security: Where is your home? Andrew: (laughing) We don’t have one. Security: You don’t have a home? Andrew: No. We’ve been traveling for five months. Security: And… sorry for the personal question, but how did you two meet? me: Through a friend in Korea. me: Yes, we were teaching there. Security: You both were in Korea and that’s where you met? Security: How long were you in Korea? Security: And how long have you been dating? me: umm… well, it’s almost March, I guess, so almost three years? Security: (hesitating) And you’re traveling now? Security: You were in Jordan? Security: Where did you stay? me: Hmm where did we stay? Oh right, Amman and Petra. me: A friend gave it to me. me: Well, she was in Egypt and now she’s in America. Security: What does your friend do? me: She was teaching in Egypt. Security: But now she’s not in Egypt? me: No, like I said, she’s in America. Security: (hands back our passports) Ok, Thank you. After our fifteen minutes of questioning, it was somewhat smooth sailing. That is, until the 14 year old sitting behind us on our red-eye to Belgium started kicking our seats. plural. At three in the morning, when you’re trying to fall asleep on a plane and you’re being constantly woken up by the little you-know-what behind you… You resort to the stare down. And then you motion for him to stop, only it doesn’t. And his parents do nothing. And when you land, and passport control flirts with you and then makes the family with the you-know-what 14 year old stand aside… You bite your tongue instead of flailing your arms around on the other side of the glass divider shouting “KARMA!” to the entire family waiting for entrance into the country. The flea market had everything. Junk that people found on the street (we assumed) to quality leather goods, antiques, artwork, used children’s clothes, and lots of hand pressed juice to go around. 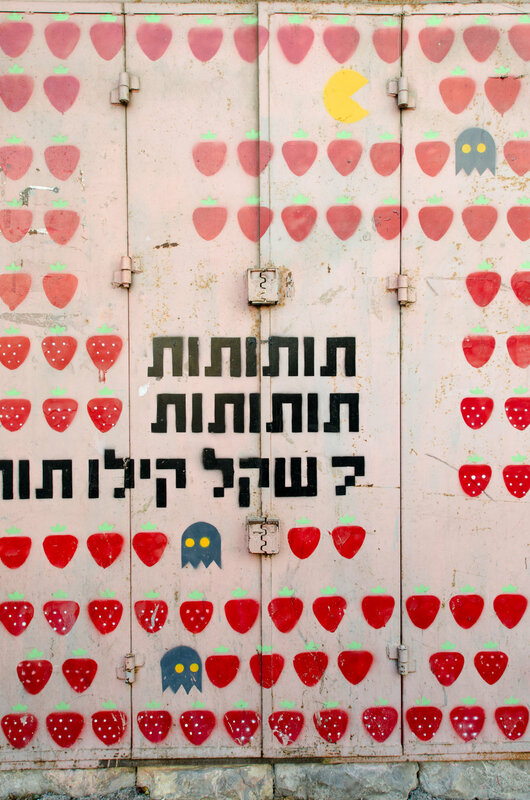 It was entertaining to walk through, and even though I spent too much on the block letters, it was more fun splurging on them than it was paying for a day of transportation in Israel! “Why did you go to Caesarea?” Anat (our friend we were staying with in Tel Aviv, in case you forgot) asked us after hearing about our adventure there and back. 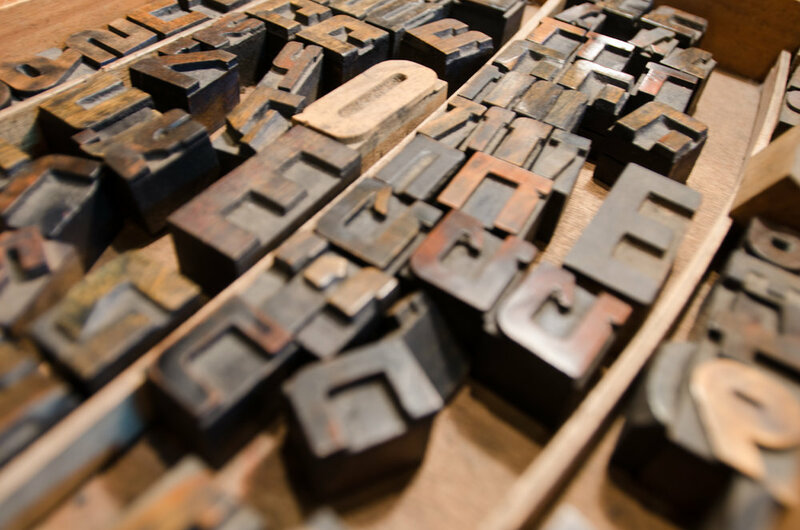 “All of the books and travel pages recommended it. It’s ‘Number THREE’ on Trip Advisor.” I told her. She laughed. Ron laughed. “You should have asked us where to go instead.” She responded. 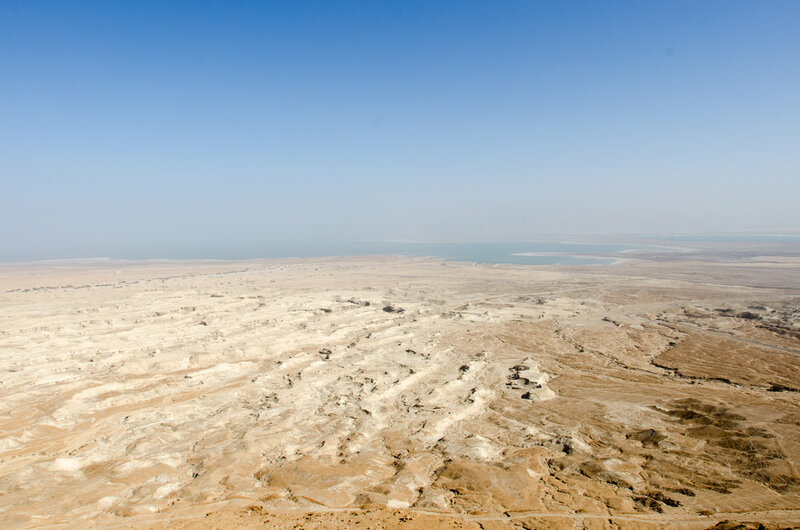 “Had you known Israel was going to be like this, would you still have come?” Andrew asked, referring to how expensive it is and how much Haifa and now Caesarea felt like a disappointment. “Yes. But I would have stayed in Jerusalem, gone to Palestine longer, and checked out Tel Aviv on the weekends.” I replied. Again, no offense, Israel. Ok, so let’s back up for a minute- in case you’re unfamiliar with the term ‘Birthright’ (as was I until stepping foot in Israel) I went to Wikipedia for a definition for you: Taglit-Birthright Israel (also Birthright Israel or Birthright) is a not-for-profit educational organization that sponsors free 10-day heritage trips to Israel for Jewish young adults. 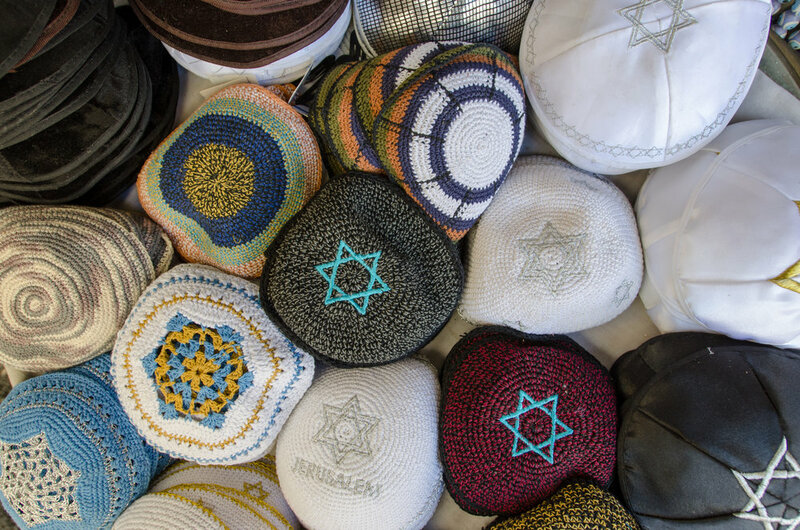 Its goals are to diminish the division between Israel and Jewish communities around the world and to strengthen participants’ personal Jewish identity and connection to Jewish history and culture. 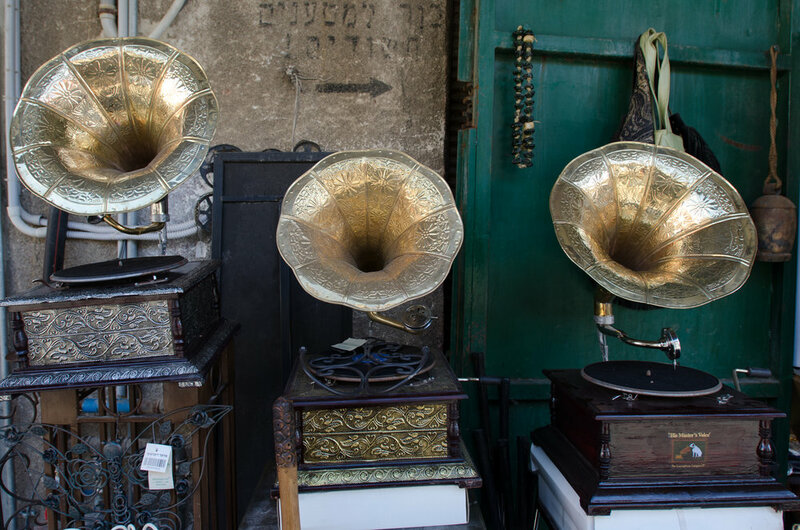 According to some older grad school ‘Birthright’ trippers that we met in Haifa, one of them admitted “It’s SO contrived.” But the entire group also admitted how awesome it was to have an entire trip to Israel (flight, accommodation, tours, etc.) paid for. I would be lying if I didn’t admit to being jealous. This country is super expensive. 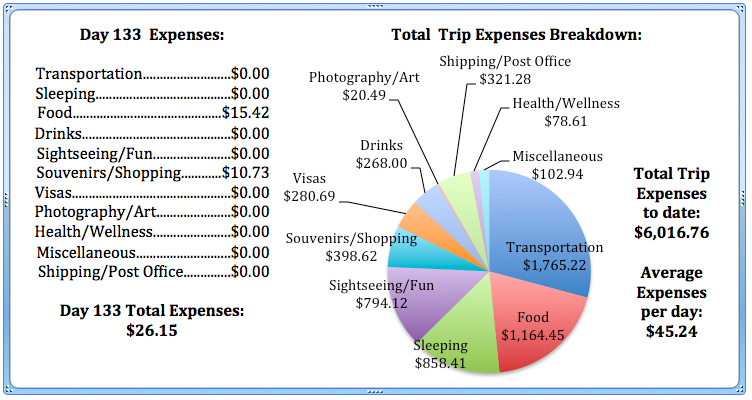 For example: coffee and a croissant in the morning costs around $8.00. I wouldn’t mind paying so much for that if all of my transportation and accommodation was covered! So, all of these trips have buses and tour guides and everything laid out on a red carpet for the ‘Birthright kids’ in hopes they will be convinced to move back to the homeland. Meanwhile, Andrew and I look up Ceserea on the internet- find out we can take a train and then either a bus or a taxi to the historical site, and we go from there. What. a. mess. Our taxi driver overcharges us. 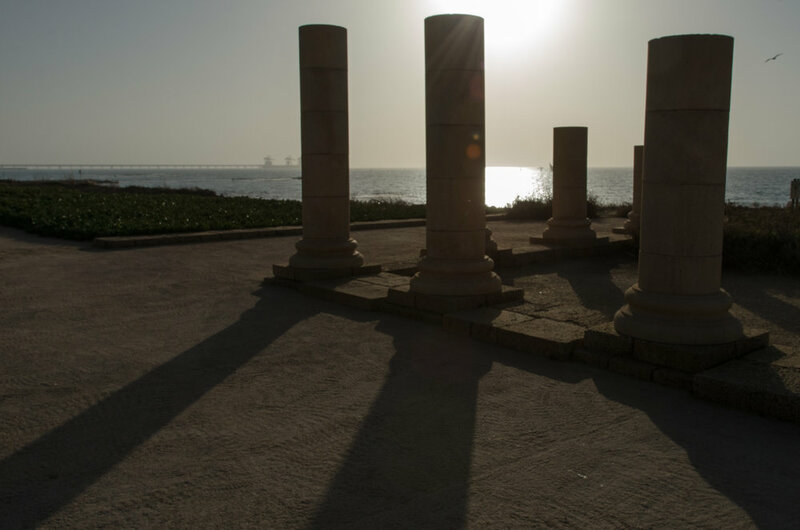 By the time we arrived, we had forty minutes to sprint through the ruins that were initially built by Herod the Great as the port city of Caesarea Maritima around 25 BCE. Being right on the coast, the view of the Mediterranean was unbeatable- but the ‘park’ itself was full of construction materials that were left out giving the park an unkempt, and shabby appearance. 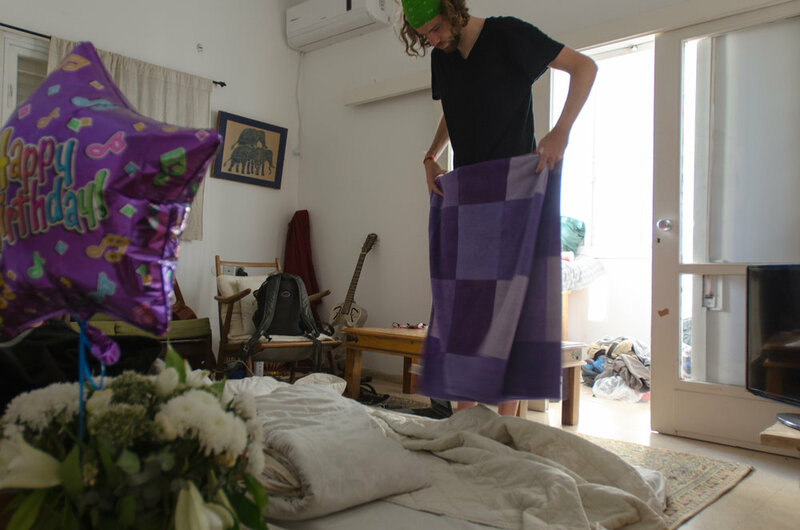 “Basically, anything you have to pay for in Israel isn’t worth it.” Andrew declared. I think he’s on to something. Both Masada and now Caesarea let us down. Both had overpriced entry fees, and not a whole lotta bang for our buck- er- shekel. The Old City in Jerusalem, The Dead Sea, The Baha’i Gardens, even The Holocaust Museum, were all free and worth our while -most sites I would even go as far as saying they were incredible! After we got kicked out of the ruins- lit’rally- kicked out when it closed at 4pm (in the winter months only) we discovered there were absolutely no taxis waiting to take tourists back to the train station or to the nearest bus station. We doubled back to the promenade full of restaurants offering free wifi and both looked up how to get back to Tel Aviv from Caesarea on our phones. 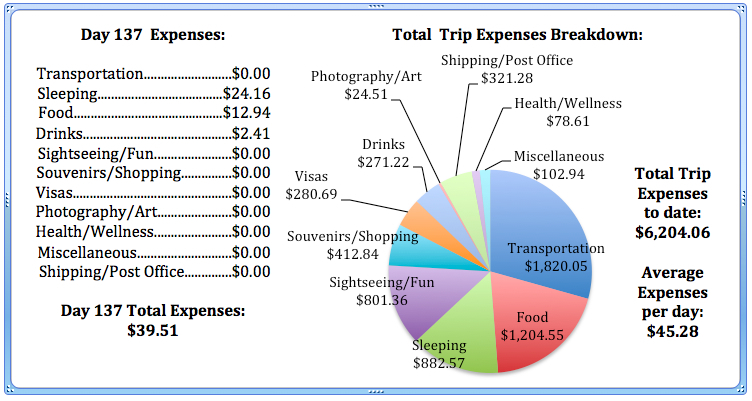 All of our findings agreed: “By car.” Except one that offered up a bus stop right off the highway 2 km away. We walked. We waited for an hour for the bus to arrive. We made it back to Tel Aviv, bought some convenient store hummus (which was surprisingly delicious) and beers (which were surprisingly cheap), and called it a night. 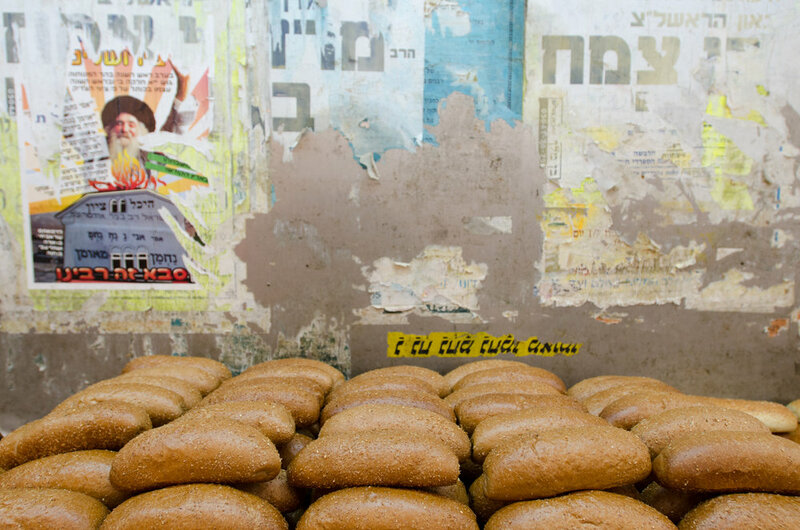 Jaffa, also known as Yaffo, is the Old City of Tel Aviv, Israel. It was nice, quaint might be a better descriptive word. But it was a bit barren. The restaurant we wanted to go to was closed, which surprised Anat and Ron, who said it’s never closed. The ‘Old City’ offered a few cafes and a lovely church to walk in and say a little prayer, but that was it. It seemed like a lot of tourists, much like ourselves were strolling around with a kinda “This is it?” attitude. The port offered more, but the majority of the restaurants weren’t open yet and if they were, they were waiting for the dinner crowd. We are guessing that it’s more of a weekend/evening hang out than it is in the afternoon hours when we were visiting. Success! We made it to the Baha’i Gardens in time to go on a tour. It wasn’t the most amazing thing to do in Israel. It was pretty. The tour was nice… but… also a little bit boring. It felt more like a supervised walk through the gardens than an informational tour. After walking up the hill in Haifa yesterday, we felt a certain obligation to go on the tour to see if it was worth it. (Debatable) The short film at the end on the Baha’i Gardens and faith was somewhat interesting, more informative than the tour guide. A quick review of the Baha’i Religion: it was founded by Baha’u’llah in Persia with the goals of uniting everyone -spiritually at least- on earth. I believe it’s the newest religion. It draws upon persons (messengers being everyone from Moses to Muhammad) and philosophies from Christianity, Buddhism, Islam, and more. 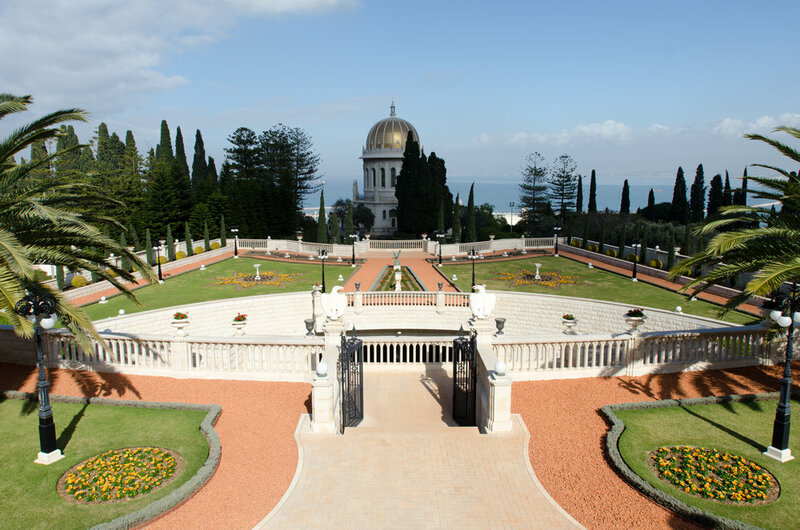 The Bab (founder) is buried in the gardens in Haifa- in the section we weren’t allowed to visit, specifically within the golden domed building. Interesting fact: No Baha’i follower is allowed to live within Israel. 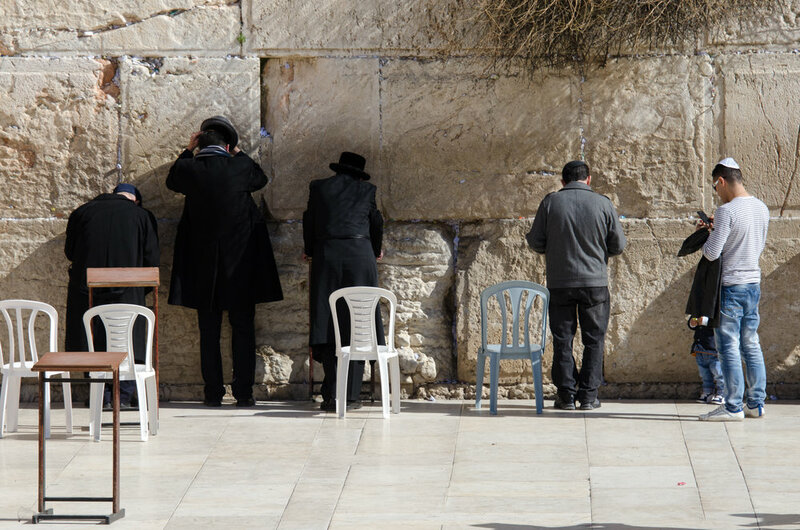 Because of their emphasis on equality, they don’t want anyone to be or think they are holier than others because they live within the holiest site of their religion. After the tour, we hung out back at the hostel and then caught a train down to Tel Aviv to meet up (and stay) with a friend we made in Burma (Myanmar) last year. Anat, and her musically inclined boyfriend, Ron welcomed us with open arms and some fantastic kubbeh. A wonderful respite from the falafel and hummus Andrew has been making me eat. everyday. for lunch. and sometimes dinner. Haifa is boring. There. I said it. 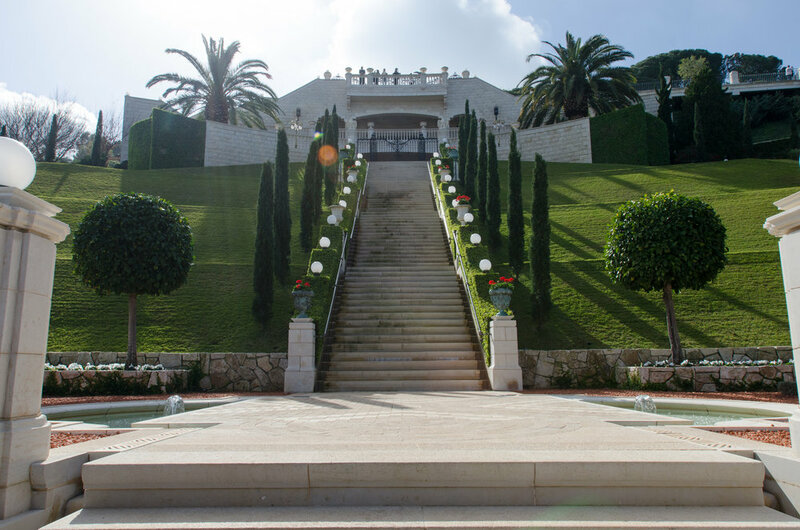 I have no idea why it’s number three on Trip Advisor’s list of things to do in Israel, because really, there is only one thing to do: The Baha’i Garden. The guided tour starts at noon. 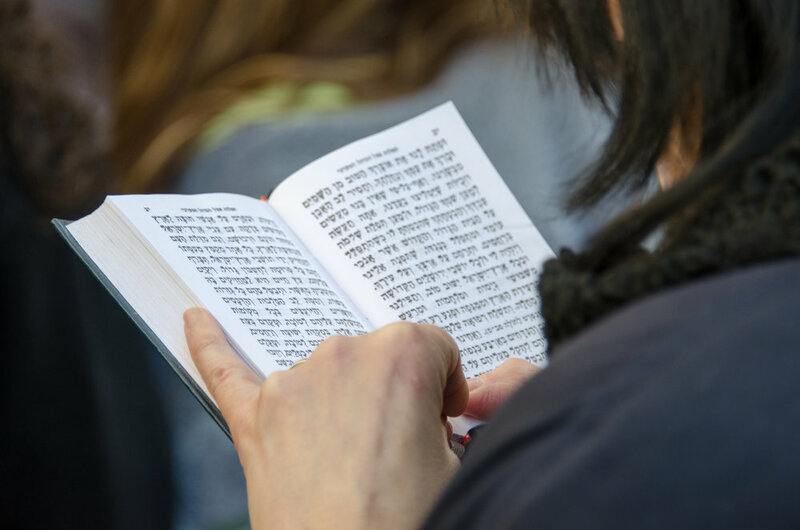 If you miss that (like we did), and it happens to be Shabat (like it was the day we planned to go through the garden), you will find yourself out of luck. Most of the city is shut down, buses are not running, and taxi drivers charge extra fare. We were told there was a sculpture garden on top of the hill in Haifa (where the entrance to the top of the garden is) so we wandered through it. The sculpture garden, we discovered, is a direct reflection of the city itself: boring. Only one artist completed the 20 or so sculptures and they simply lacked imagination – as you may see in the video above. The best part of the day was stumbling into a falafel joint with a buffet of unlimited sauces and side dishes. 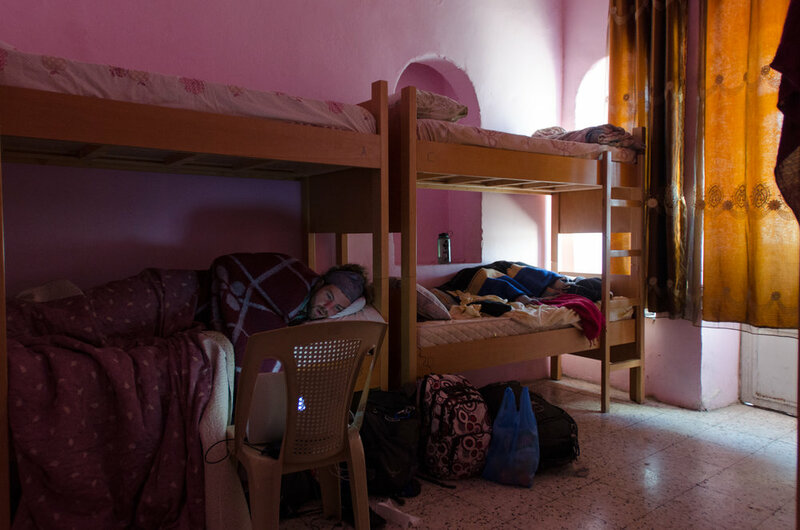 We stuffed ourselves silly and then camped out back in our hostel lobby with our computers to blog and plan our re-route through Africa! “Smell my fleece.” Andrew demanded. I kept seeing him sniff different parts of it while we had been sitting in front of our computers in the hostel lobby. The joys of backpacking are not limited to smelling each other’s clothes, shoes, bodies at various times. I leaned in. “Was your fleece on top of your shoes? Because it smells like it. Right here.” I pointed to the left side of his chest. “Not here… but, right. here.” I said after sniffing around his chest, noting that there is something seriously wrong with us that we are willing to do such activities without hesitation. “I knew it! Ohmigod I can’t wear this today. We HAVE to do laundry!” He said, and then we went upstairs for him to exchange his smelly fleece for a scarf instead. Sometimes, it’s not fun at all. I fall asleep thinking of the variety of shirts and jewelry and bags and heels I have waiting for me at home. Who needs to count sheep when one can lust after her own closet thousands of miles away. Wool sweaters that are too bulky to pack. Dangly earrings that aren’t meant for overnight buses or camel safaris in the desert. The cocktail dress that is not wrinkle free. My silver pointy pumps. My green ballet flats. My ‘moquestian’ boots. I miss my shoes the most. This is when my Mom starts singing ‘Material Girl’ and I do not disagree. I miss it all. Sometimes I wear the same outfit for three days in a row because it’s the only thing I have that is warm enough. I can count on one hand how many times I’ve worn mascara on this trip. I’m pretty sure both pairs of my leggings (that I wear as pants, sorry Casey) have holes in them. And I still despise my backpack/daypack situation. I miss having my own bed, clean sheets, and a pillow that is just right. I hate carrying my computer, DSLR body and three lenses around all of the time because I don’t feel it’s safe to leave behind in our hotel or hostel room. Relying on Skype to call your Mom or your best-friend is the WORST. Unless you keep getting sick in Nepal and India. In that case, that’s the worst. And you miss being able to safely lay down on the bathroom floor knowing you just scrubbed it a week or two ago and it’s relatively clean. I haven’t cooked anything- as in follow a recipe and/or make something from scratch- since… August? I am officially ‘dog-crazy’ meaning I want one and have to have one right now. But I can’t because Andrew says it’s impossible or whatever while we’re traveling around the world. I miss wing nights and having a ‘place’ where you you go for a beer after work or to meet your friends for dinner. I miss my friends. Desperately. Especially of the girl variety because I’m tired of Andrew rolling his eyes whenever I mention movies starring Channing Tatum. Like I told Michelle, and like I remind myself constantly, it’s all temporary. And it’s totally worth it. Because when you’re walking through the Siq towards The Treasury in the middle of Petra, you’re not thinking about the closet full of clothes at your parents’ house. When you’re paragliding off the Himalayas, you’re suddenly not so worried about the backpack you’re going to have to pack up and haul around the country when you land back on the ground. And when you’re able to swap out a lens to get a close up shot of the kid hanging out on the Palestinian rooftop, you suddenly don’t mind having carried it around for the past four months straight. When we were in Petra, we met a French girl, Julie, who was volunteering in Aida Camp (a Palestinian refugee camp butting up against the security wall that was built on the 1949 ‘Green Line’ between Israel and Palestine). Nearing the end of her three month stay working with teens filming a documentary about the camp, she invited us to the camp and offered to show us around. How could we refuse? 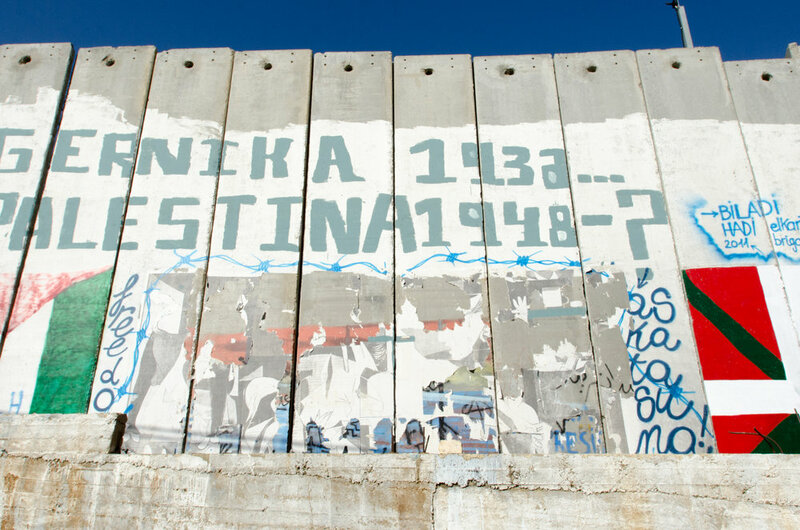 Banksy art on the wall, a guided tour, and a better understanding of the Israeli-Palestinian conflict? Yes, please! We called the day before and made plans to meet her late into the morning, giving us a little time beforehand to check out the Holocaust Museum on the Israeli side before catching the bus into Bethlehem. We made these plans without realizing how strange the day would end up feeling. We spent a little less than two hours at the museum. The majority of our time there was spent in the first few rooms of the museum reading nearly all of the information plaques trying to get a better grasp historically of how everything happened. Obviously I learned all of this at some point in school. Unfortunately, you just don’t soak it up the same way you do when you’re in the middle of Jerusalem about to cross into a modern day conflict zone. When my “half of our time is finished” alarm went off, we had more than 80% of the museum grounds to go through. We started walking faster through the exhibits. We may have gotten some weird looks. But in the back of my mind, I reminded myself that our couchsurfer mom said it was better to go for not enough time than not at all. She was right. It was a really informative (albeit very disturbing and sad) museum and helped remind/clarify so much history for me that I had forgotten or that had never really sunk in. We met Julie at the bus station in Jerusalem (she was coming back from a hip hop concert the night before in Tel Aviv) only for Andrew to realize he had forgotten his passport. Fortunately, the bus stopped near our couchsurfer family’s house and we could jump off and catch the next one over the border. Julie met us at the InterContinental Hotel a stone’s throw from the security wall on the Bethlehem side and we walked around the hotel grounds to one of the main entrances of the camp. Julie told us back in Petra that the camp is just like a regular city. Buildings housed families and were left with unfinished rooftops to expand up when children grew and married. 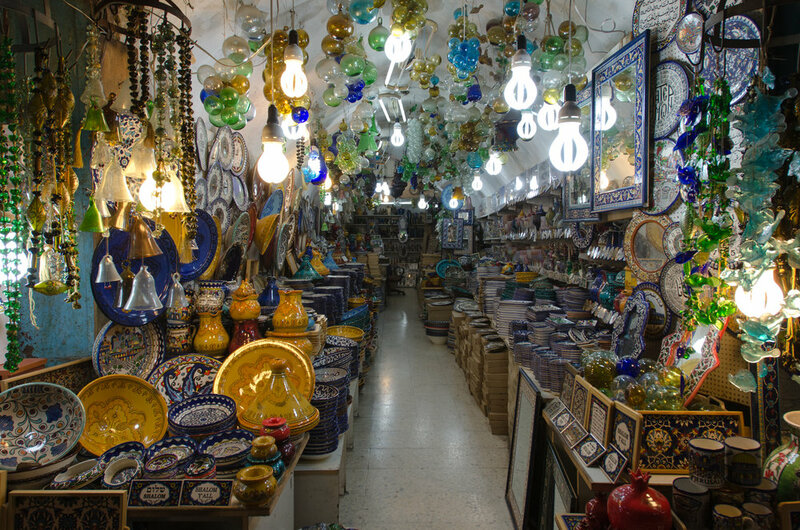 A few small markets and take away restaurants were open on the ground level. Children roamed the streets. Some men sat in front of their doors. Murals of Mecca (announcing that the inhabitants had made a pilgrimage there) and street art donned most walls in the camp. When I think of a ‘camp’ I think of shoddy construction, tents, and poverty. This wasn’t so much the case. It felt like a lower income area of the city. Concrete buildings lined narrow streets and alleyways. Children had appropriate clothing, shoes, and called out to us often- mostly unafraid of our presence. Julie talked of the lack of electricity at times. There’s no warm water in the camp. And she’s taken cold showers, in the winter, for the past three months. What a trooper. On our way to the wall, at times it was a little difficult to breathe (tear gas) and we could hear shots being fired. Julie said we picked a good day to come! We found out later that one of the children on the Palestinian side stole one of the security cameras from the wall. When we got to the wall, she said taking pictures was ok, unless the boys started throwing rocks at us instead of the wall. Throwing rocks at the wall is a right of passage for the men. If you don’t do it, you’re seen as not being ‘man enough’ to be Palestinian. Luckily, the boys (and men in the distance) didn’t see us as a threat. When I bent down to photograph a can of tear gas (empty of course) one of the boys sprang towards me, grabbed the canister and insisted I take his picture. That’s part of the security wall behind him. We weren’t sure who the men in that particular mural are though. We went to the volunteer center where Julie works. I took a photo just to remember the website address for The Al-rowwad Cultural and Theater Society. It wasn’t until we were walking through the smaller refugee camp across the main street from Aida that it hit me how strange the current situation is. In the morning, I was walking through exhibits all about the work-then concentration-then death camps that Jews were placed into decades ago in Europe. Today, I was walking through a modern day refugee camp that the Palestinians have been forced into by Israel. Obviously there is a lot to comprehend, and I don’t know enough, nor do I have the emotional ties to the situation as both Isralis and Palestinians do. But it felt strange, and my idealistic self just wanted everyone to get along and both sides to have access to constant electricity and hot water. 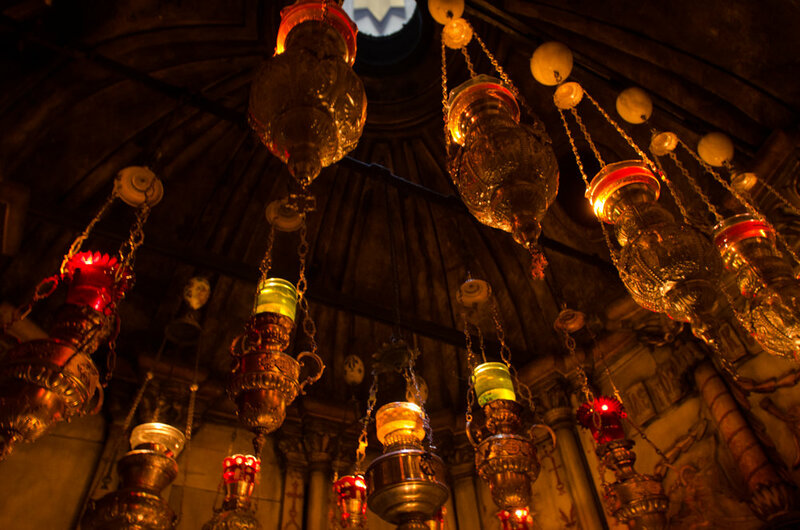 Before we knew it, we were walking through the Old City in Bethlehem to visit the Church of the Nativity, where it is believed to be built over the cave where Jesus was born. The rebuilt church is a little barren and it feels cold. It didn’t help that there was a mass of pushy pilgrims waiting to get down below the altar to touch the stone marker of his birth. What’s wrong with an orderly line in a church? In one of the holiest of holy sites (for Christians), do you really need to cut in front of others? The site is this tiny room under the altar with a half circle of stairs leading down into it. You know that feeling when you’re waiting to get into a concert and the doors open and there’s a mad rush to get in first to claim your spot closest to the stage? That’s what it felt like. Only there was absolutely no need for the rush, because the stone wasn’t going anywhere! 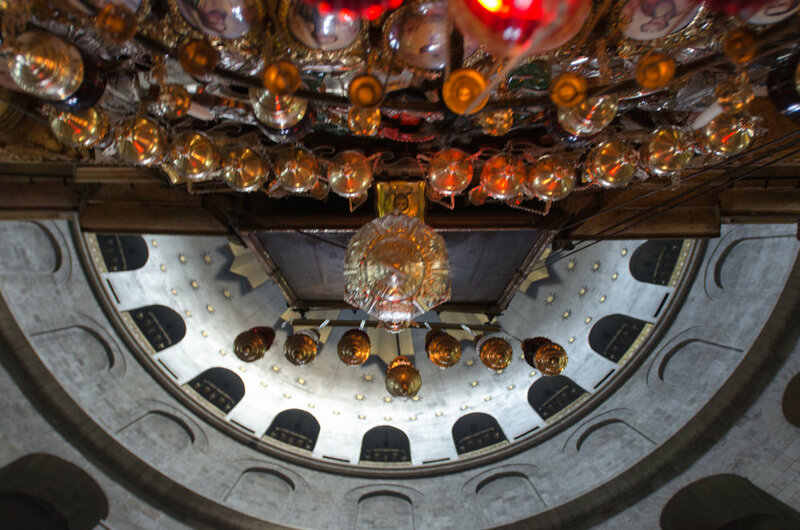 It was without a doubt, the most annoying religious visit we’ve had in and around Jerusalem. The more modern church that was built off to the side of the nativity site was pretty and quiet, but I felt the attendants frustration as he shushed other pilgrims talking too loud and not taking care of the door slamming. After the Church of the Nativity, we made our way out of Bethlehem and then out of Jerusalem to Haifa, where we were once again faced with the fact that Israel is not a country geared towards backpackers on a budget. 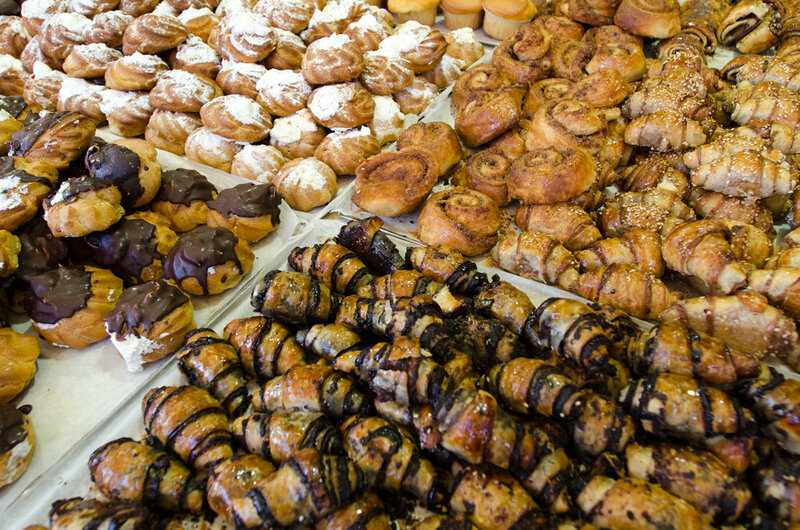 Mahane Yehuda Market is a mostly open air market selling baked goods, vegetables, fruit, fish, and meat. Kosher signs dangle above some stands. Coffee shops have sprung up in between mountains of freshly scrubbed veggies and the oddball souvenir shop. It’s a great market. Smaller than we expected (but then again, after five years of markets in South Korea, it’s hard to be objective) but still a great time to walk through. We stopped to get a small bag of olives and saw something leafy wrapped up. I asked what it was. 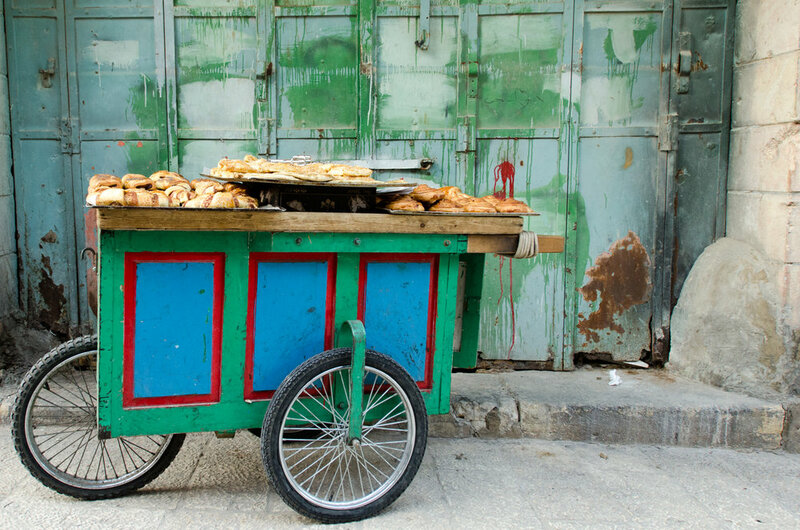 “Yaprak!” He said and motioned for me to try one. “But what is it?” I asked again, picking one up to try. “Yaprak! It’s Yaprak.” He seemed baffled that I wanted to know more. Andrew laughed at me. I googled it. Yaprak = stuffed grape leaves. We walked around the market, up and down the back streets and found a plethora of awesome street art. I meant to ask Meidad what some of the Hebrew translated to, but forgot. If anyone knows, please fill me in! And then we made our way “home” to our wonderful couchsurfer hosts. 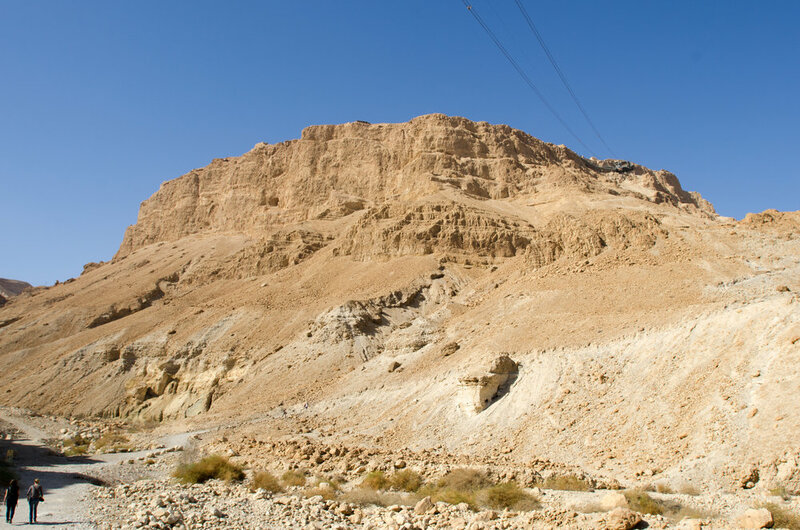 Masada, about a forty minute bus ride from downtown Jerusalem is an isolated plateau on the edge of the desert with a glorious view of the Dead Sea. It’s about 700 steps to the top of this fortified palace built by Herod the Great. It fell to the Romans (big surprise) and sadly ended when 960 Jewish rebels and their families committed mass suicide. Now it’s a bit of a crumble of structures and it surprised me to find out that it’s Israel’s most popular paid tourist attraction. While it’s a nice three hour trip, it pales in comparison to the day we spent in Petra. (Sorry, Israel.) 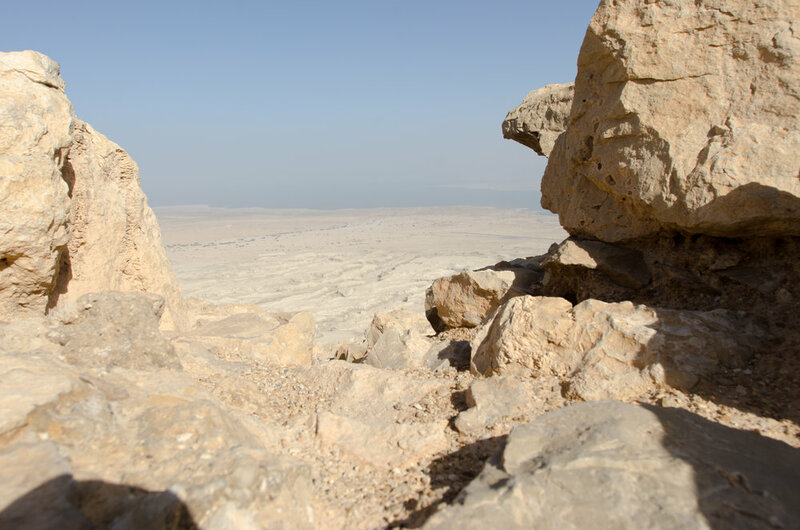 If you go to Masada and the Dead Sea together, it makes for a more interesting and complete day. Andrew and I climbed to the top in about an hour and had a packed lunch at the top before walking around the ruins, making our way back down, and towards the Dead Sea for a quick dip. Floating like I’ve never floated before proved to be a much more unique experience. The “beach” was a rocky shoreline dotted with a handful of tourists slipping into the cold water for the experience, but then getting out when the salt started aggravating them. It was cold. Although once you acclimated yourself to the water, temperature wasn’t nearly as much of a problem as the salt content was. Warnings are shouted not to enter the water if you have any cuts – not to immerse your head – not to get any water in your eyes – and not to jump and/or dive in. You’re instructed to walk backwards and slowly sit in the water, but when you do, your legs immediately go out from under you and they gently bob on the surface. Getting out of the water is difficult. It’s like seeking gravity out of a vacuum, or something like that. I grabbed for salt covered rocks and tried to push myself up free from the water only to slosh around and stumble out entertaining an older Italian who was drying off out of the water. Once you free yourself from the sea, your skin is covered in a slippery salty sea mixture that gets on all of your clothes even if you hold them at an arm’s length away. I grabbed a camera to get a few shots of Andrew and then he stumbled out of the sea to do the same for me. After a mere fifteen minutes, my skin was tingling and I was ready to rinse off. Showers close to the edge of the sea provide fresh water relief. Everyone takes turns rinsing off and then changing under towels in a hurry to warm up before catching one of the last buses leaving Masada and the Dead Sea heading back to Jerusalem. 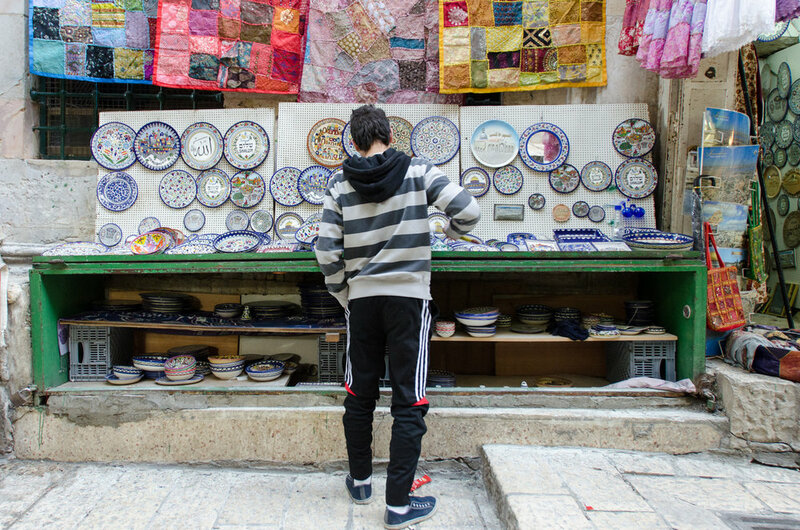 The Old City is where religions collide or live harmoniously, depending on how you view your glass… Within its walls are The Wailing Wall (also known as The Western Wall) and The Temple Mount for the Jews. Just on the other side of the wall lies The Dome of the Rock and Al-Aqsa Mosque for the Muslims. On the other side of the Old City, a mere ten minute walk (if you know where you’re going and you’re not like us passing it up by accident more than once) is the Church of the Holy Sepulchre for the Christians. It was a long, religious filled day. After spending two months surrounded by Buddhism in S.E. Asia and then two months surrounded by Hinduism in Nepal and India… one day of three different religions was a lot to wrap my head around. It was overwhelming and spiritual at The Western Wall, calming outside of the Dome of the Rock, and familiar inside the Christian Basilica. We headed to The Western Wall first. It’s the holiest site (right after the Temple Mount) in the Jewish religion as it’s the only remaining wall that surrounded the Jewish Temple’s courtyard. From my understanding, the Jewish Temple and the Temple Mount itself is so important because, according to Judaism, it’s where Adam was created among many other significant events recorded in the Bible. The first temple was built by Solomon (son of David) and then destroyed by the Babylonians. The second temple was built by Zerubbabel and then destroyed by the Romans. 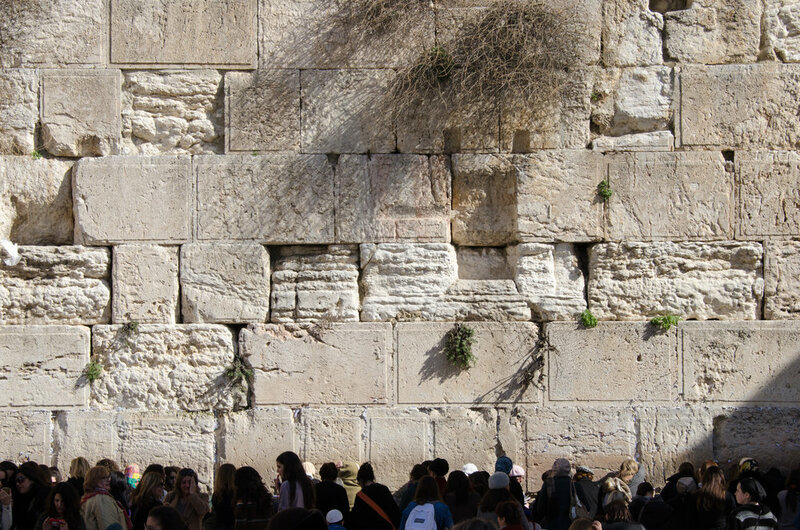 It was sometime at the end of this ‘Second Temple era’ that it’s believed the current walls were built by Herod the Great. (I think.) According to (Jewish) TRADITION! (sing it Mom, I did that for you) it’s believed the third and final temple will be built here. When we arrived at the Wall, Andrew and I stood behind a high dividing wall set up in the middle of the square dividing it into a large section for men and a smaller section off to the right for women. 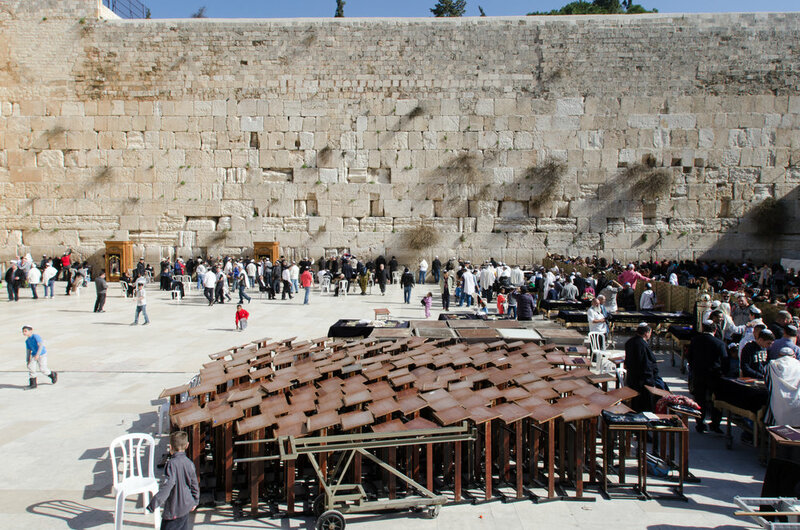 I stood and watched the men for awhile performing lots of Bar Mitzvahs with a few older men praying against the wall. It was full of life. There was singing and dancing and younger boys-turning into men were hoisted on fathers shoulders and led back to their awaiting families, with women on the other side of the wall watching all of the activity. Obviously I could not go into the men’s side, so when I spied the entrance of the women’s side, I marched right in. There was no singing and dancing and cause for celebration. Instead, I was faced with the reality of the wall’s nickname; The Wailing Wall. 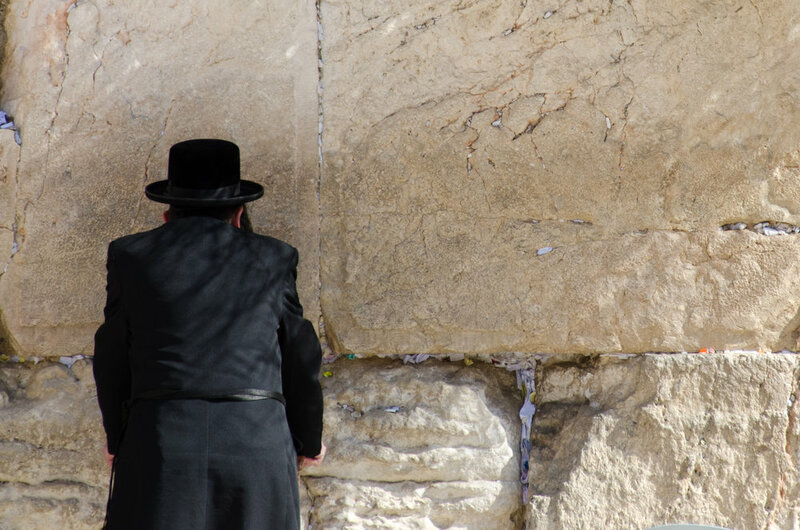 Women anxiously pushed (but not in a rude way, just in an urgent I need to pray real bad kinda way) their way towards the wall to reach out and stuff a prayer written down into a crevice or lean up against it as they whispered their prayers into the stones before them. Some women stood a few rows away from the wall with open prayer books and Bibles (I think, I’m assuming, they were Bibles) crying and praying. Some silently. Some out loud. It was powerful. I haven’t been so surrounded by such fierce prayer since… since… I don’t know when. For someone who hasn’t exactly been practicing, I was surprised by how much it took my breath away. There was a certain charge to the air. I’m sure it was the general energy of all of the women there, but I have to think it was more than just their (our) energy alone. As I walked out a mother and daughter walked backwards out of the designated women’s side to the open square, like they couldn’t turn their back on the Wall. It made me smile as I followed, facing them as we walked out at the same time. Fortunately, visitors like myself are allowed to cross over The Western Wall into the designated Temple Mount area. 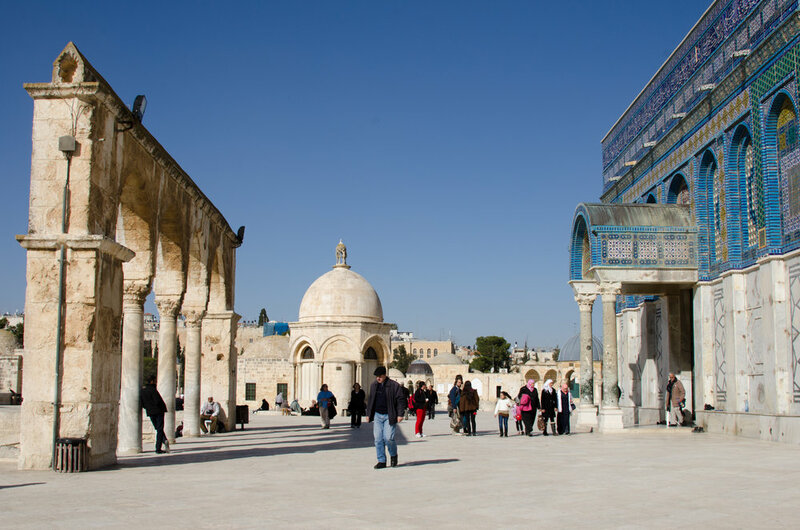 This area is also the site of the Dome of the Rock and Al-Aqsa Mosque. Although it’s under Muslim control, The Rock (which resides in Dome of the Rock), according to Jewish TRADITION! is where Heaven and Earth meet. The (Sunni) Muslims regard Temple Mount as the third holiest site in Islam. It is the ‘Noble Sanctuary’ where Muhammad ascended into heaven. The Dome itself is one of the oldest Islamic structures in the world. 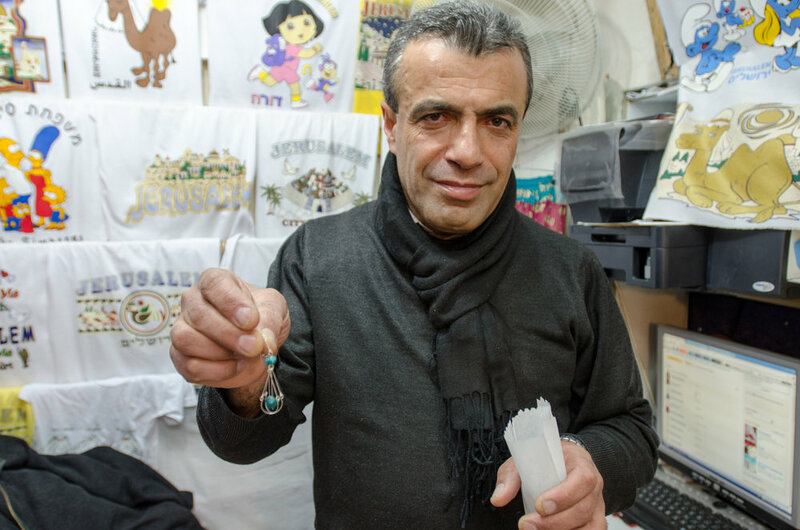 This ownership dispute between the Jews and Muslims is at the top of the Arab-Israeli conflict. So just like that, we were out of intense Jewish TRADITION! and in the middle of a calm Muslim garden and pavilion outside of Dome of the Rock. Not allowed inside the Dome of the Rock, Andrew and I sat in the sun until we were kicked out for prayer time. Moving onto the third religion of the day, we walked through the Old City to the Christian Quarter. 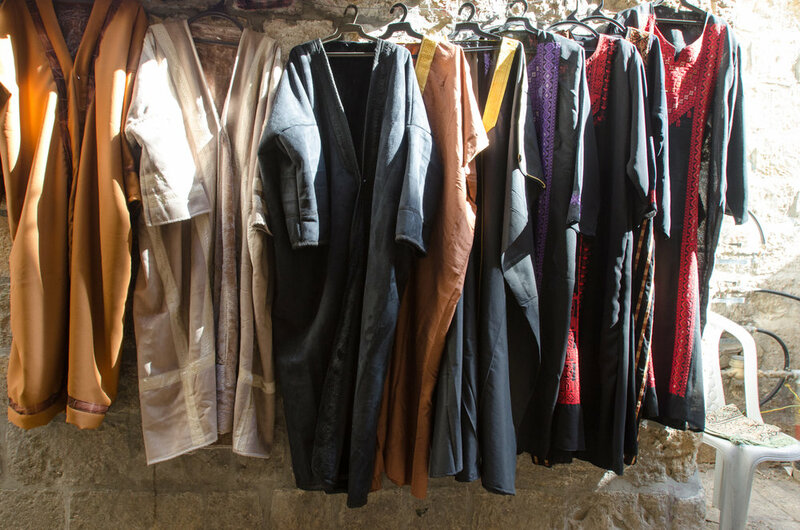 I have to admit, walking through the narrow streets and up the stairs past different Stations of the Cross- like where it was ACTUALLY a Station of the Cross (not just a plaque on a church wall), I felt a wave of “Oh Jesus was a real person?” wash over me. When you grow up in the Catholic Church taught to believe in God, it can feel a bit forced and in a way, mythical at times. Or maybe I’m just a bad Catholic… I mean, obviously, I’m a bad Catholic. A few people I went to high-school with probably already have made a list of reasons to back up this claim. But being in the Old City in Jerusalem and walking past these clearly marked Stations towards the Church of the Holy Sepulchre makes being a Catholic and the plight of Jesus a bit more real. 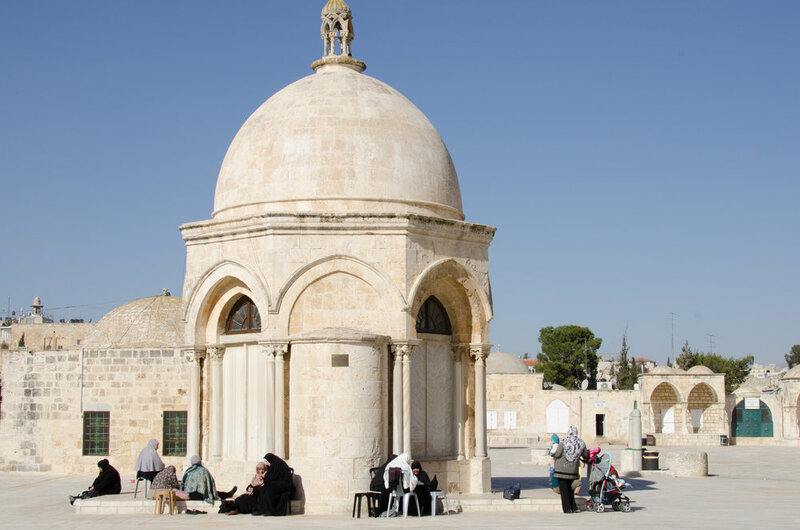 I’ve gone to a Catholic school my whole life, and I’ve never heard that the Hill of Calvary (where Jesus was crucified) is currently an altar that looks like a mini church built inside the Church of the Holy Sepulchre. It makes everything more believable. 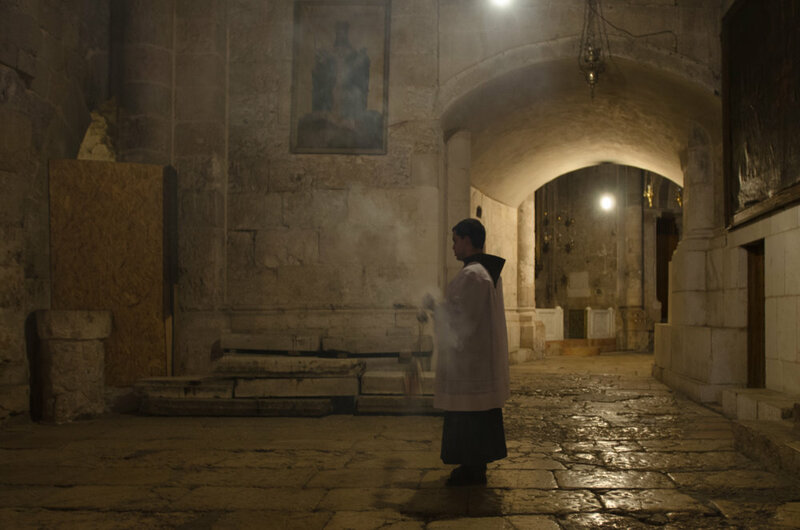 Furthermore, the Sepulchre (tomb) is right at the entrance of the church under a line of candles and more often than not, kneeling pilgrims kissing the rock itself that Jesus is believed to be buried underneath. It is also believed that he will be resurrected at this very spot as well. Today, the Church is shared between Eastern Orthodoxy, Oriental Orthodoxy and Roman Catholics. 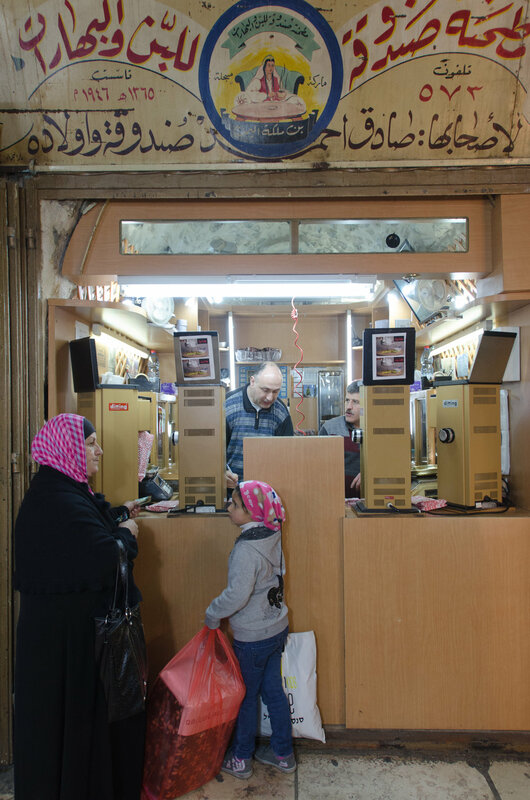 A Muslim family holds the keys to the Church itself to avoid conflict between the different Christian sects. Worn out by religion, we headed over to the swanky hotel our couchsurfer host, Meidad was working and told us to meet him. He was full of enthusiasm when he met us and called us out on looking worn out. I think he thought it was from the four and a half months of travel, even though it was more from the day making sense of three different religions and one history. He poured us a much needed glass of wine, directed us to the rooftop restaurant for some warm bread and a beautiful view of the city, and then took us home with him at the end of his shift.